For less than $10k you are getting a decent looking Amazon with a 5-speed manual gearbox and a cool set of Minilite style wheels. Why would you want an Amazon? 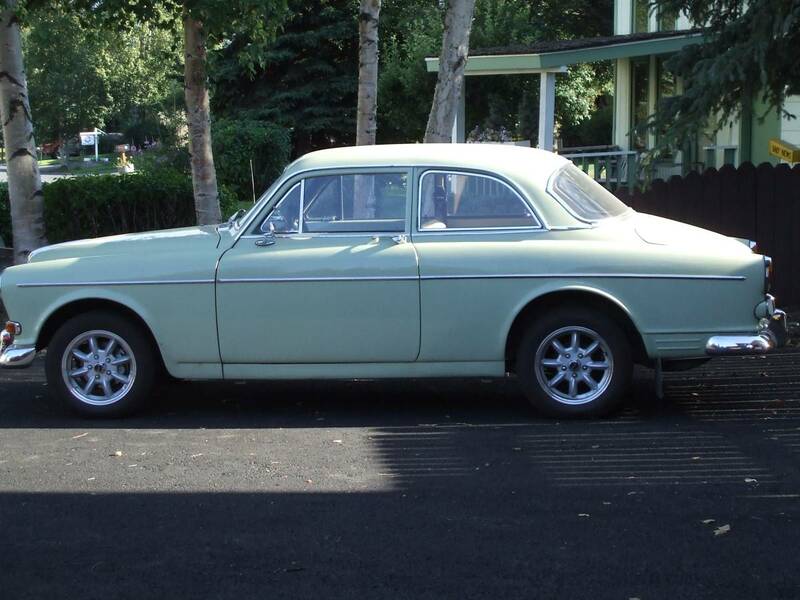 Because it offers a combination of driveability and vintage 60's cool that is hard to beat for the same price. Under the hood is Volvo's B18 pushrod equipped 4-banger that puts out something around 95 horsepower when equipped with dual carbs for the US market. 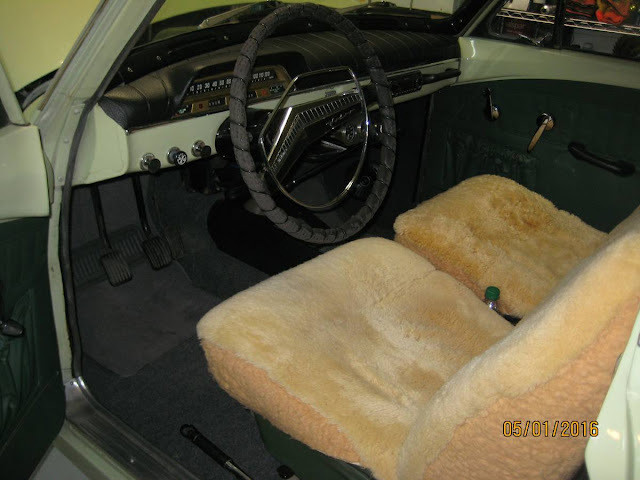 It would be interesting to find out what lives under those sheepskin seat covers, but the dash and door cards look good -- how much can it cost to have those seats redone? Wonderfully screwed together and nice rides even stock. While the onerous "P" car odes to excess cash are gross, cars like these have always had a following and nice ones were available at a premium in the day when so many were used up and thrown away as commuter cars, or just an old car. 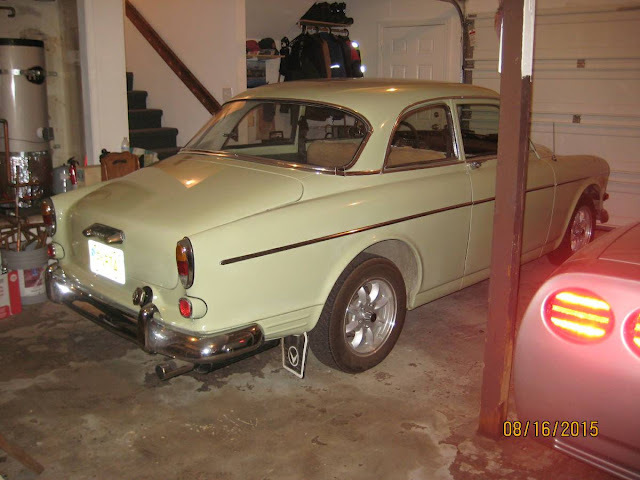 1800's are higher on the price curve, and while the best of each have gone beyond the depth of my pockets, a nice car, in nice shape and enough people who appreciate creates these minor cult markets. 544, 122, 1800's are being joined the last several years by the "brick-boys." Never in my wildest imagination did I think 240's would become valuable. They last like herpes and there is still an incredible number lumbering around with all the usual plastic pieces broken off and A/C systems that quit 30 years ago. But the engines really do keep going. The Volvo market is an interesting one, and as a lifelong fan I am delighted. The OEM vinylette seats are underneath and are in good condition. Went for a test drive in this one and had little to complain about, other than it was almost too nice to put into DD service. He went through and ran dynamat underneath the new carpets - I wouldn't call it modern quiet, but it was drivable. It's only 4200 miles from Anchorage to where I live. I'd like to buy a car up there and drive it back home one of these days. What could possibly go wrong? That car would likely get you there. I agree with Zach. Having traveled further than 4200 miles with 122's not nearly this nice with nothing more than generator brushes and center carrier bearing go, they are very, very sturdy cars. Cars get reputations for good reasons. Michael V> Buy it and love the trip!